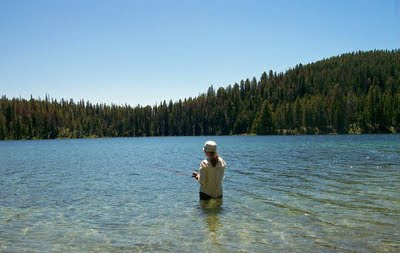 This photo is of my wife fishing in the Scapegoat Wilderness. The Scapegoat was the first citizen-led Wilderness initiative in Montana. People stood up and said: It's wild. It's supposed to stay that way. It's a legacy of which to be proud. It's also a legacy that speaks to the ability of a diverse group of people to sit down and work out solutions to complex problems. H.R. 1581, on the other hand, eliminates those similarly grassroots-supported efforts, such as the Roadless Area Conservation Rule. H.R. 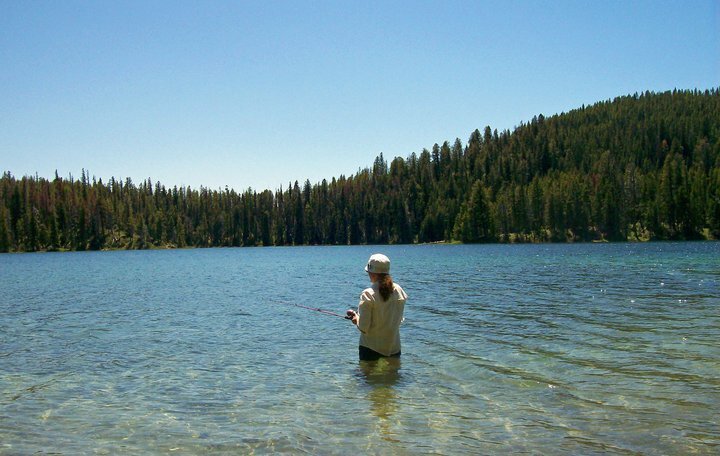 1581 would undo the hard work and collaboration that brought about both the Idaho and Colorado Roadless Rules. Ultimately, HR 1581 is the exact opposite of its claim: It’s a top-down, one-size-fits-all approach to land management in an effort to eliminate the voice of the hunter from these decisions. Art Noonan, the former public lands staffer for Congressman Pat Williams, was burned in effigy in 1988 in a heated confrontation related to the last Montana wilderness bill to pass congress (it was vetoed by President Reagan and some say it was a gift to Conrad Burns). From then on, efforts to pass meaningful conservation bills in Montana has turned into smashmouth football. The forces against conserving land have the power, money and clout to ensure that these debates rage on until the public becomes so sick and tired of the bickering, that they force dramatic action one way or another. In effect, we’ve witnessed a 25 year temper tantrum by those who refuse to acknowledge the necessity for administrative protections such as the Roadless Rule. It’s the same strategy a 4 year-old employs when he's told he can't have something that he desires. But these attempts are not new. When we look back to the early history of conservation in America, we see the same fights that we are faced with today. One hundred years ago, Theodore Roosevelt left his political party to advance an agenda of conservation. For one hundred years, hunters and anglers have been the vanguard when it comes to protecting these few remaining wild places. For over one hundred years, the same short-sighted, politically-motivated few are willing to place their selfish interests ahead of the good of the nation. Today, more than ever, we must continue the legacy that Theodore Roosevelt brought forth with the Bull Moose. We must stand resolute, as men and women who won’t back down in the face of adversity. H.R. 1581 steals that legacy from us. It steals elk from the mountain.